There are a lot of opportunities that you can pursue successfully without being dependent on governments, or powerful connections. The Internet, and the mobile revolution, have liberated us to build a new generation of businesses, and social enterprises, that play by a different set of rules. And whilst the above is getting truer by the day, the cost & quality of broadband access leave a lot to be desired. According to a study by broadband statistics & analysis firm, Point Topic, the global average of broadband pricing is US$75 a month whilst Africans pay up to US$200.The firm went on to note that Africa, along with South America, has the slowest & most expensive internet in the world. The difference between the average call completion rate and internet bandwidth capacity at a local hotspot on Avenida de Julius Nyerere (downtown Maputo) and the Costa do Sol beach (only a short 20 minutes away) can be more than 15 percent. In emerging areas of the country, such as Nacala, network connectivity frustrates everyday business and life activity. Local executives complain that subpar service in the future will only stunt the country’s capabilities, particularly in the energy and agriculture sectors where market information and the dispensing of that information through fast and reliable communication are vital. Zimbabwe is a landlocked nation that is right next door to Mozambique and very much reliant on it for access to fibre optic internet cables that come via the Indian Ocean. In Q1 2014, the country had an internet penetration rate of 40% according to an article by Techzim.co.zw. And yet it only began emerging from a decade long economic blitz in 2009, having world record breaking inflation and virtually zero investment in modern infrastructure prior to 2009, with a shocking 2008 Internet penetration rate of 2.5%. Today the nation is deploying Fibre To The Home (FTTH) amongst other connectivity options. This compares closely with both Mozambique and Zimbabwe’s Southern neighbour, South Africa, which sits at an internet penetration rate of 41%. South Africa is a nation with access to the sea and has the most fibre cables connecting to it on the continent. Mobile broadband services in Zambia are generally perceived to be a preserve for just a small elite, and this perception is wrong… Data, is a mass market product and not being treated as such by operators has resulted in the Zambia’s generally low internet penetration. All the aforementioned nations are in Southern Africa, with West & East Africa showing what seem to be hungrier growth appetites. Nigeria has a reported penetration rate of 48% whilst Ghana is at 40%. True to its athletic reputation, Kenya is miles ahead at 61%. What does all this say about Broadband in Africa? Whilst there’s been a great deal of progress, faster ICT growth of a Ghana, Zimbabwe & Kenya type can supercharge economic development. Yes, affordable access to quality Broadband internet cannot make up for an infrastructure deficit, but it can greatly mitigate it. A great example of this is how eCommerce is taking off in Nigeria, helping consumers circumvent congested roads and lack of physical shopping malls. Behind this eCommerce boom are traders that can attest to the unprecedented empowerment boost that Broadband is bringing along. Over USD $100 million was invested in Nigeria’s eCommerce sector last year alone. Broadband is the fuel that will propel Africa into an unprecedented era of growth, the more we have it, the better placed we become to unlock the true potential of a prosperous Africa. 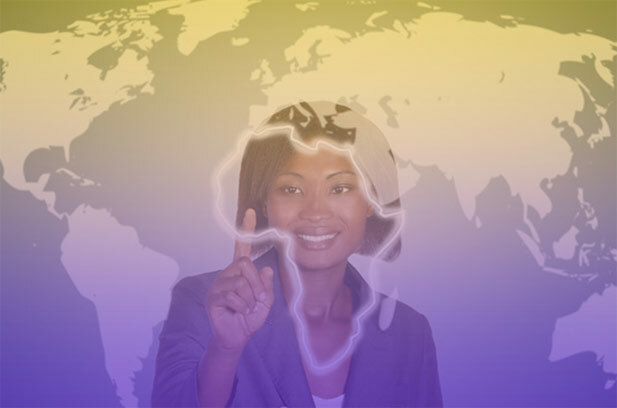 This article originally appeared on Esaja.com’s Yes African blog and has been edited for Techzim. The mobile kill switch law: Would it help us here in Zimbabwe?